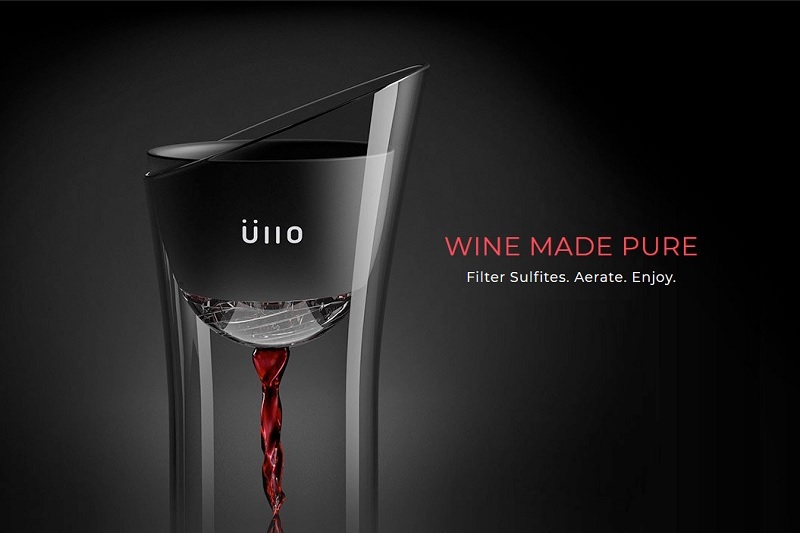 Üllo is a revolutionary wine purifier that restores the natural taste of wine with Selective Sulfite Capture™ filter technology developed by Chicagoan James Kornacki. Derived from the alchemy symbol for purify, Üllo means pure wine and is pronounced “oo-low.” They believe wine is best in its natural state, without the artificial sulfites that were added as a preservative. We are excited to welcome Üllo to the Chicago Artisan Market on Sunday, March 10, 2019 from 10am-4pm at Morgan MFG (401 N. Morgan St.), where they will be joined by 110+ top Chicago artisans in food, fashion, home goods + art. Each purifier has a patented adjustable on/off aerator to allow you to breathe life into reds, or maintain the balance of whites. Twist the aerator on or off to suit your preference. The Üllo modular design rests on any standard wine glass and has a silicone display base to capture stray drips. 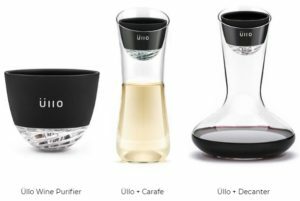 The Üllo carafe and decanter are made from hand blown from lead-free crystal and are a perfect fit for the purifier. James is the inventor of Selective Sulfite Capture™ technology and holds a doctorate in chemistry from Northwestern University. He founded Üllo in 2014 in Chicago after realizing his aunt, who is sulfite sensitive, couldn’t enjoy wine at family gatherings. After reading that others had similar reactions, James felt the need to create a solution. With his background and education in chemistry, he knew he had the knowledge to do so. Previous articleDo Lemons Help Fight Cancer?